Beach Front Holidays. 5 minutes north of Coromandel town. Click here to view all the Shelly Beach TOP 10 accommodation options. Click here to view activities and attractions location around Shelly Beach TOP 10. Click here to view driving directions to Shelly Beach TOP 10. Welcome to Shelly Beach TOP 10 Holiday Park, your BEACHFRONT destination in COROMANDEL! Shelly Beach TOP 10 Park is a beautiful Coromandel accommodation option recognised for its fantastic location located just five minutes from the Coromandel Township on the road to Port Jackson. Escape the hustle and bustle while enjoying close access to the Coromandel township with award winning restaurants, fun parks, fishing charters and access to refreshing walks that take you to amazing scenic spots. Beach access straight from the park provides safe swimming and coastal exploration for the whole family. In-park activities include a jumping pillow, playground, volleyball and room for creative games on our extensive lawns. Enjoy our BBQ rotunda and free barbeques where you can cook up your catch of the day! Situated next to farmland and the seashore, Shelly Beach TOP 10 Holiday Park is the perfect environment for an extensive range of bird life to the delight of visiting ornithologists. Wake up to the bird calls and begin another day in a friendly environment where the family can enjoy all the great holiday park facilities available. Relax and revitalize while still being in contact with anyone anywhere in the world via the WIFI throughout the park. Easy access to sea activities are at your doorstep. Bring your canoe, kayak or children's bikes. In-park childrens' competitions and visits to the nearby attractions will give the whole family a great variety of options to fill their fun packed days. 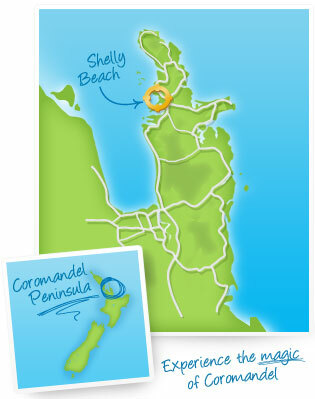 Click here to book your Coromandel Holiday Park accommodation! 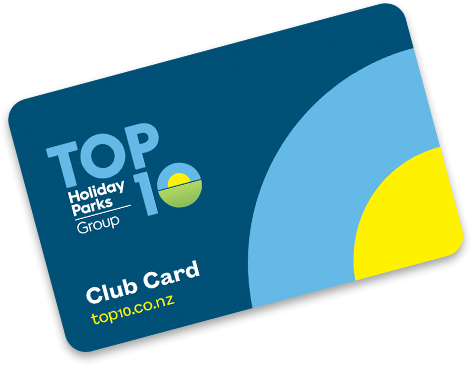 Join the T OP 10 Club today and save 10% off* accommodation at all TOP 10 Holiday Parks, 10% off Interislander ferry travel, 10% off* accommodation at BIG4 Holiday Parks in Australia PLUS the over 500 regional benefits including attractions and retailers in the Coromandel! CONTACT US NOW TO JOIN AND SAVE ON YOUR NEXT BOOKING!